Discussion in 'Transformers Toy Discussion' started by SharkyMcShark, Jan 14, 2008. Wings swept forward (hypercritical/cyclonus style) or wings swept back (normal jet style)? Stupid question, but it is one of my favourite molds ever, and after digging out Stormjet and Jhiaxus yesterday I noticed that most promo material/package shots have them swept forwards, but I have mine swept back. So yeah, anyone else as obsessed as me, how do you have the wings? EDIT: Was mashing keyboard too fast, mis spelled pedantic. If someone could change it it would be much appreciated. Swept forward. Like Cyclonus. And like Jetstorm on the show. 'Cause they're cool. Leemon Yar, spare sum fuel mate? Stormjet and Jetstorm, swept forward. Skywarp swept back. Depends on the plane mode. If it's basic plane mode, FSW. Anything else and it's backwards-swept. I always prefered the wings swept forward. It looks a long way better. I prefer the swept forward look. Looks more alien. I consider them neo seekers and display them with the rest of the seekers so I say swept backwards. I like them looking more realistic than alien. 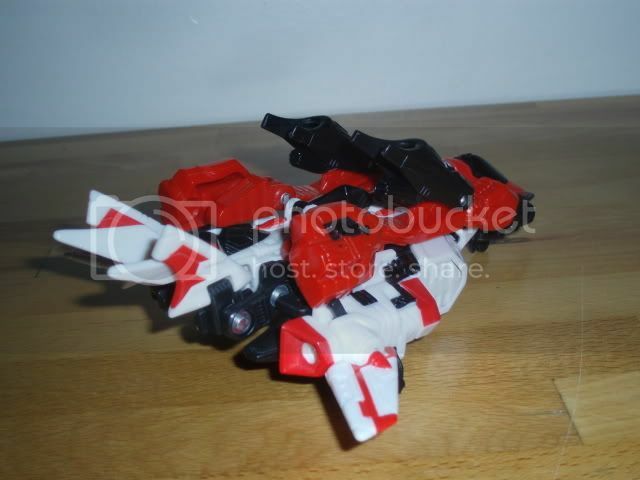 I have Jetstorm and Hiaxus' wings forward, RiD Stormjet's and Universe Skywarp's backward.